I shot so many pictures that I uploaded them all to a flickr album here (also link from the photo). 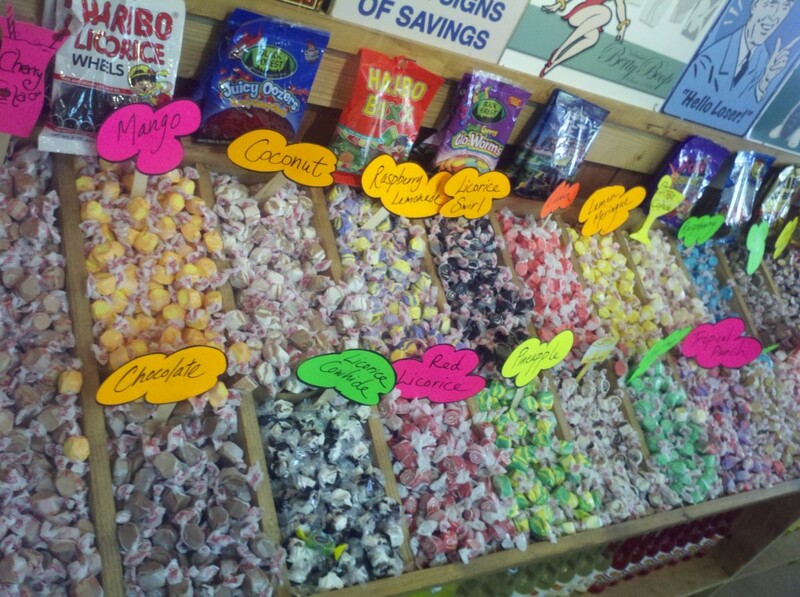 1) They have undoubtedly one of the biggest arrays of “salt water” taffy flavors I’ve ever seen–at least two dozen (above)–with flavors like Mango, Lemon Meringue and my daughter’s favorite, Cotton Candy. The miracle of science! 2) In addition to full ranges of many retro and esoteric soda companies, they have their own line of sodas with flavors like Green Apple Jalapeno. 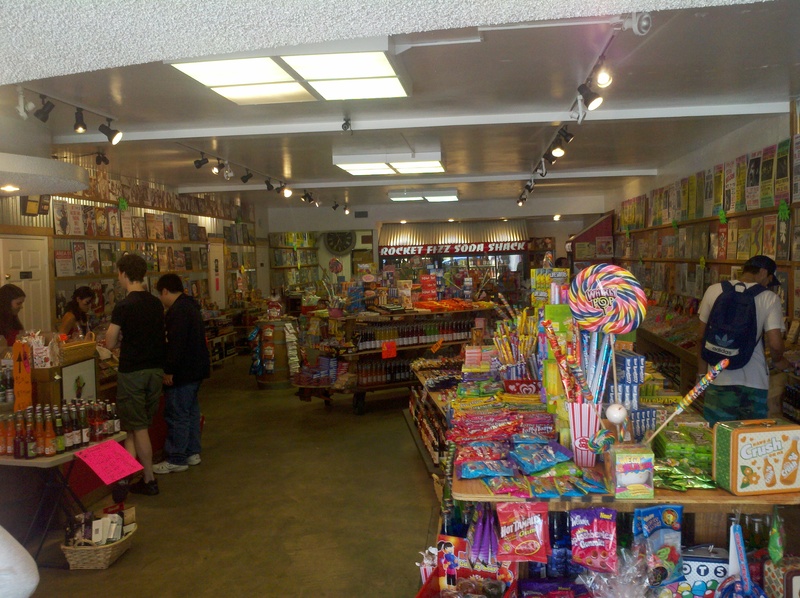 3) They offer not just the expected retro candies, novelty toys and metal signs, but also modern international candies, including a good sampling of British Cadbury varieties like Yorkie and Flake, and some Japanese treats including even a sampler of their offbeat KitKat flavors (not cheap, but unique). I’d be thrilled if they got even deeper into International candy varieties. Rocket Fizz is not just for kids. Even more serious foodies (and certainly mixologists) can find inspiration here. Check it out sometime.